I am wondering if I have lost my marbles, or at least dreaming wishfully. My exhibition at Elgin has been successful with eight paintings sold. Then the sale of a painting and print from my website to America and sales from' Picture This' art gallery in Inverness. Just need some sales from Saachi on Line to round of the week. 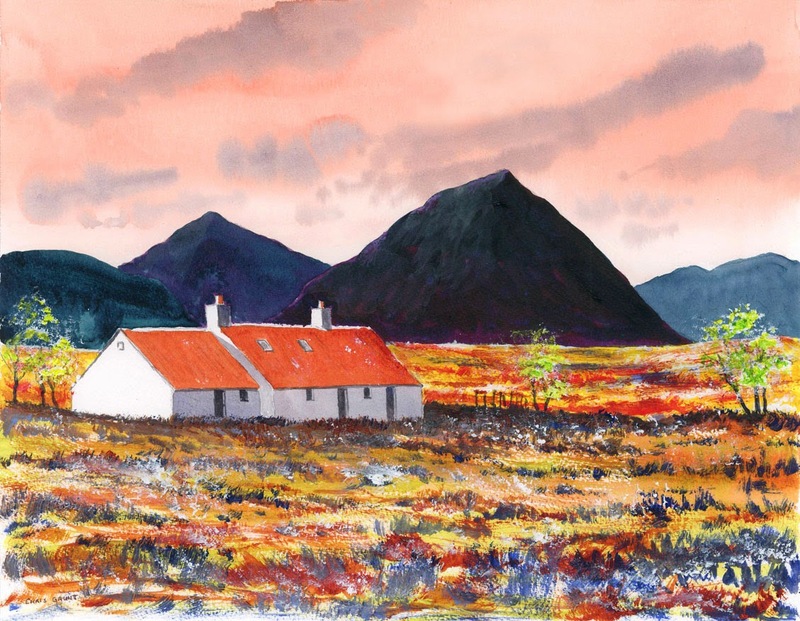 The painting above is Black Rock Cottage in Glen Coe, one of the eight Elgin sales. It would seem that it is not only xenophobic Brits worried about unprecedented levels of migration. Spain has complained to Britain that large numbers of North American Ruddy Ducks are relocating from Britain to Spain and breeding with native White Headed Ducks. The North American Ruddy Duck was introduced to Britain by Peter Scott and have a voracious sexual appetite, so much so that the male White Headed Duck, and any other type of duck for that matter, cannot compete! The Ruddy Ducks are definitely not benefit tourists but go to Spain to work, as the female duckaritas will testify. Ruddy Ducks think the schengen agreement is a jolly good idea but the Spanish are so worried that they have asked for the Ruddy Ducks to be culled in the United Kingdom. This has already started! Does this not set a dangerous precedent? Might Britain ask the French to start culling would be migrants at Calais? where will it all end? Could it be that a Federal State of Europe starts with the creation of the Euro Duck? Surely those in favour of ever greater union should petition Brussels to cease this cull immediately.